Business View Magazine profiles Palm Springs Convention Center, the area’s premier venue for conferences, meetings, and events. Palm Springs, a desert city in California’s Coachella Valley, has been a fashionable resort destination for over a hundred years. Known for its hot springs, stylish hotels, golf courses, spas, boutiques, and hip restaurants, as well as for its natural beauty, the city plays host to over 1.6 million visitors a year. In the center of town, and only 1.5 miles from the Palm Springs International Airport (PSP), sits the Palm Springs Convention Center, the area’s premier venue for conferences, meetings, and events. 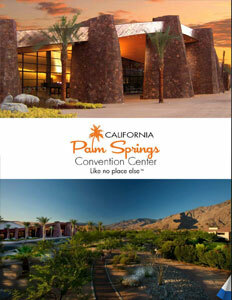 The Palm Springs Convention Center is owned by the City of Palm Springs, but is managed by SMG, the worldwide entertainment and convention management company, which also manages the Palm Springs Bureau of Tourism, the marketing arm for the city of Palm Springs and the Convention Center. The Center has 30 full- and part-time employees and sub-contracts for audio/visual, catering, and security personnel. Approximately 75 percent of the Center’s business comes from associations – both California and nationally-based. Leson explains that most of the corporate businesses that come to Palm Springs tend to hold their events at one of the area’s resort hotels because they offer more amenities, such as golf and tennis; although for the millennial generation, Leson believes that these amenities are less important than their desire for immersion in Palm Springs’ local culture. Because of our demographics, our Center does not do a lot of consumer shows, “like you would see in big cities; we don’t have the population to support that here,” Leson says. “This is one of the main reasons why convention business is so important to our destination. As far as weddings and those types of social events, we’re competing with the 100-plus country clubs that are associated with each of the golf courses that are out here. There’s so much competition for weddings and other social types of business.” What fills out the rest of the Center’s 100 to 120 yearly events calendar are local fundraisers and major events, such as the Palm Springs International Film Festival, a two-week affair that takes place every January. 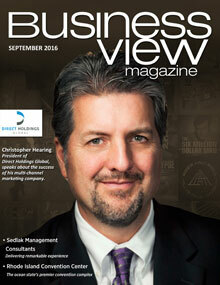 Check out this handpicked feature on The Columbia Metropolitan Convention Center.